This week on the LOE Podcast I chat with Jessica Rasdall. Jessica is a Motivational Speaker, Best Selling Author, Public Speaking Strategist and the host of The Creative Speaker Podcast. She partners with small business owners to craft stories and presentations that connect with their audience and stand out in a crowded market. 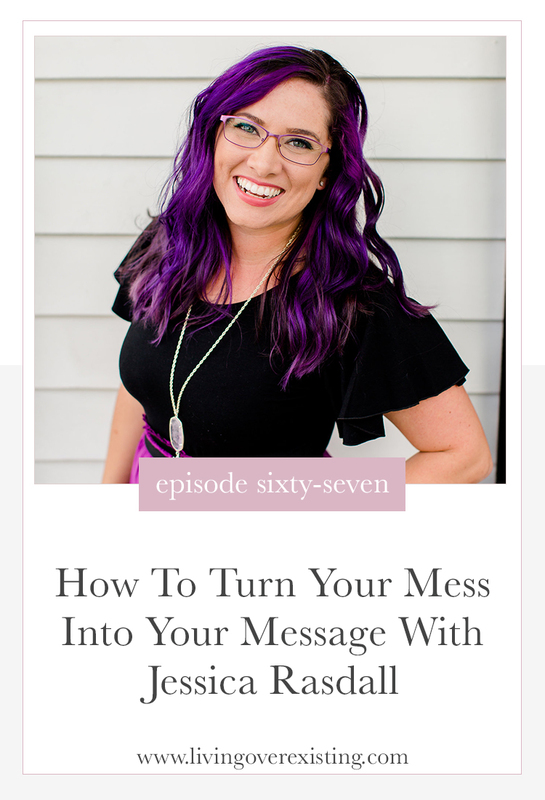 Jessica has shared her story of turning her “mess into a message” for over twelve years and has been featured on major international media outlets such as ABC's 20/20, Katie Couric, The Guardian, MTV, Netflix and much more. By rewriting their story, her clients are transforming what were once considered limitations into some of their greatest business assets. In this episode Jessica shares how her traumatic mistake and losing her childhood best friend inspired her to share her message in hopes that it would prevent others from making the same mistake, why storytelling is so important, how you can get over the fear of sharing your story and use it to build your brand and so much more. After a tragic accident that killed Jessica’s childhood best friend, Jessica made it her mission to share her experience with other young people to make sure that they didn’t make the same mistake that she made. It has become her way of not only keeping her bestfriends memory alive but also helping other women get comfortable with sharing the most difficult parts of their stories. In addition to seeking therapy, she made a point to keep busy and constantly make it a point to deal with it. She knew that if she stopped, it would eat her up inside. After she came home from prison, she pushed herself into changing her narrative so that she could share her story in a way that would help other people and still protect yourself. Which is what led her to helping other women how to effectively share their stories. First she says don’t ever feel like your story isn’t important. There will also be someone who can connect with what you’re saying. Next, you don’t have to always start with the story. Instead, think about your audience first and what they need from you. From there, get down to the facts and remove as much emotion as you can.